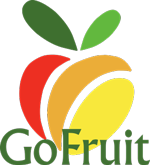 GoFruit has been formed by 6 Spanish growers as partners and shareholders. These growers come from the different regions of Spain, as you will see in our detailed map. They are used to work on retail level all over Europe. All 6 are well-known growers each with their own specialty. Focussing on high quality table, juice oranges, mandarins and various Stone fruit varieties. What we want as growers, is to focus on what we do best: produce the right quality at the right time and leave the rest to a group of people we can trust without loosing the control of the sales of our product. Sales are in the hands of our team of professionals with more than 15 years experience in the fruit and vegetable business. Working with a full transparent process with access at all time to the complete commercial information.